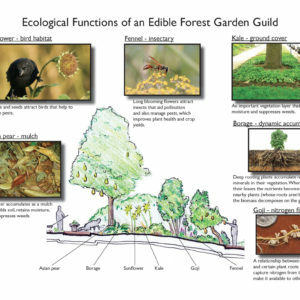 A design for a forest garden at the Clark Art Institute creates a living demonstration of the art of nature. 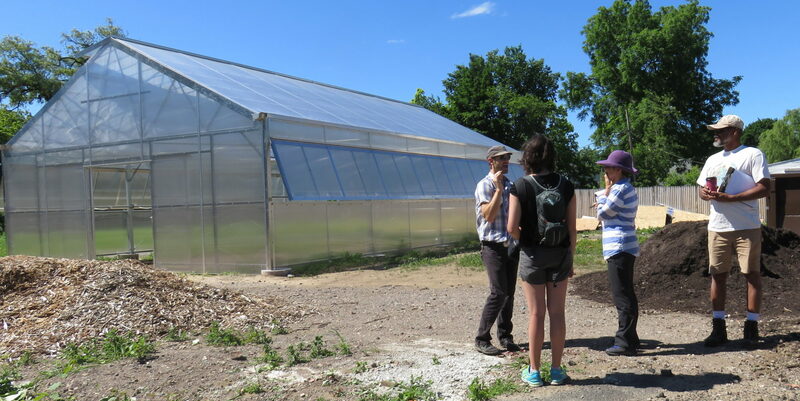 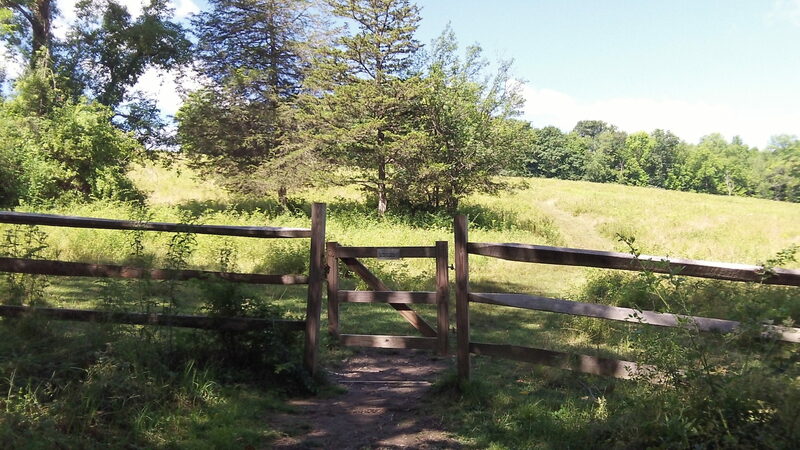 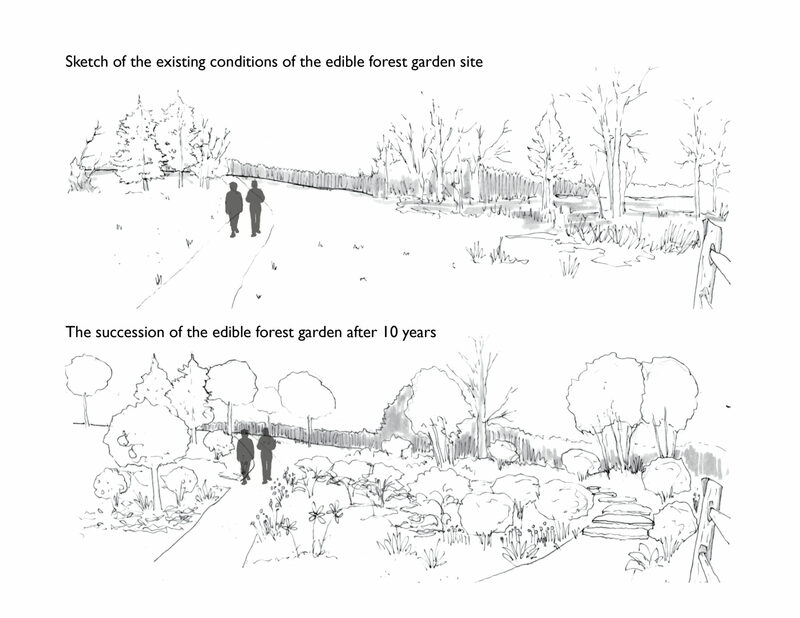 Set within the grounds of the Sterling and Francine Clark Art Institute in the Berkshires, RDG’s plan for a forest garden demonstrates the potential for integrating food production into revered public spaces. 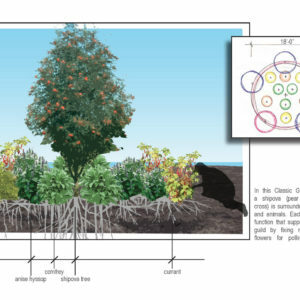 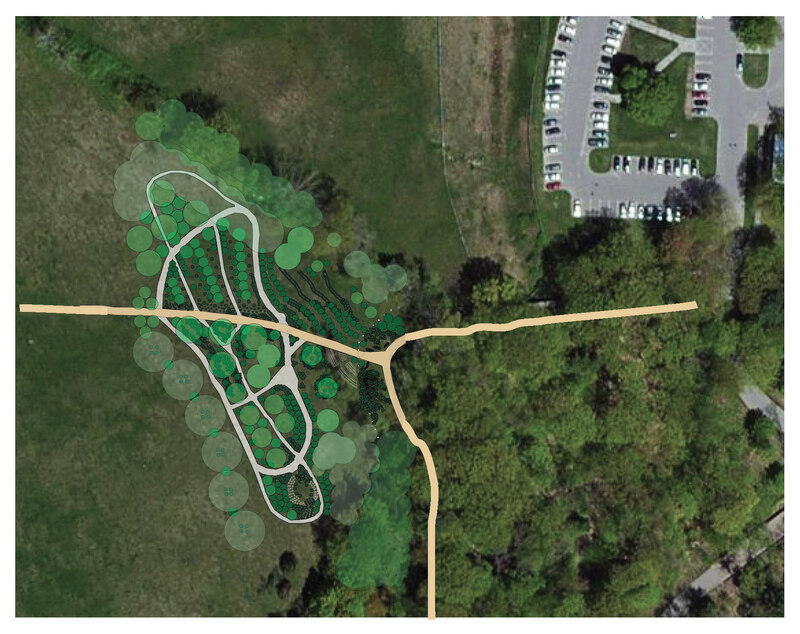 The forest garden concept embodies the connection between agriculture, ecology, and the art of a new land interpretation program on the campus. 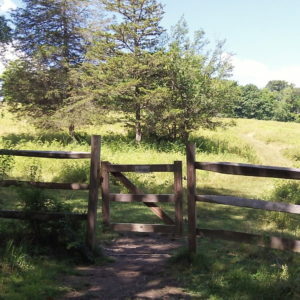 The Clark Art Institute is known for its high quality art collections, distinguished center for research and education, and beautiful, pastoral 140-acre campus. 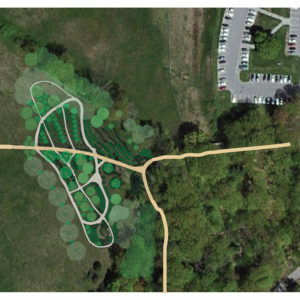 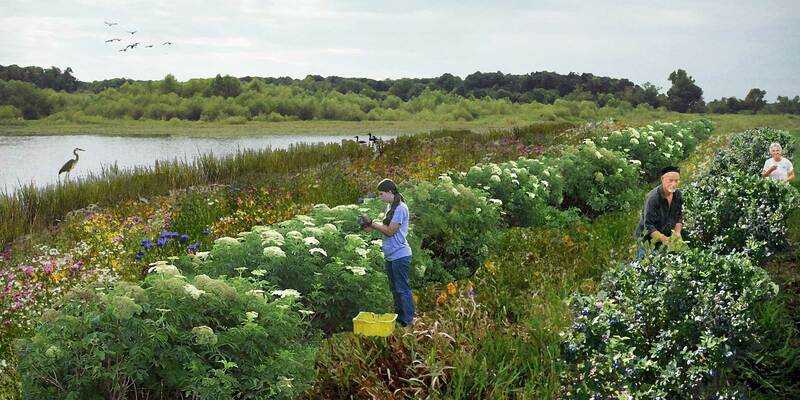 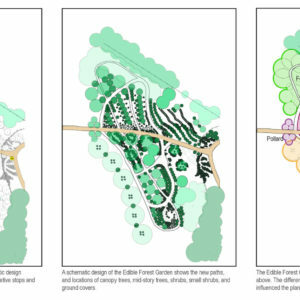 As part of a campus expansion, the Clark invited RDG and Michael Singer Studio to collaborate on a landscape design for a productive forest garden. 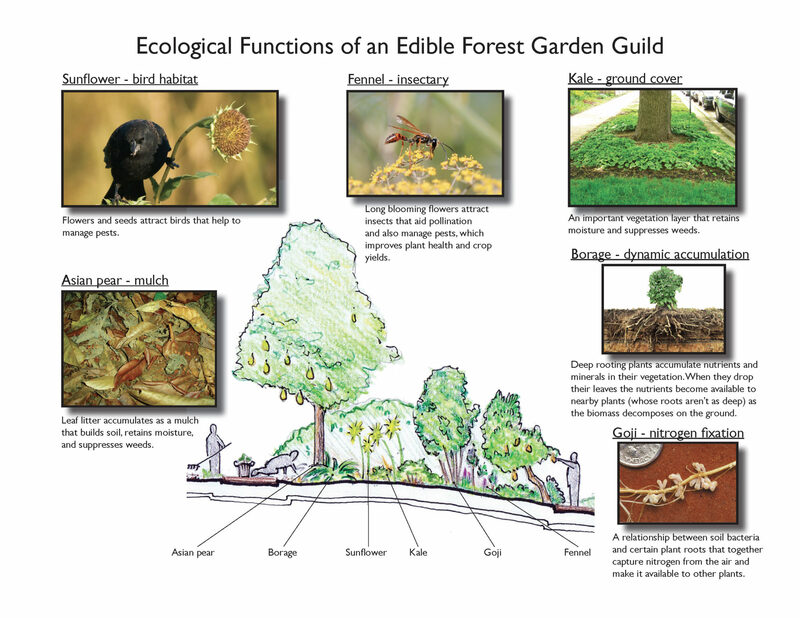 The proposed Edible Forest Garden grows at the intersection of art, agriculture, and nature. 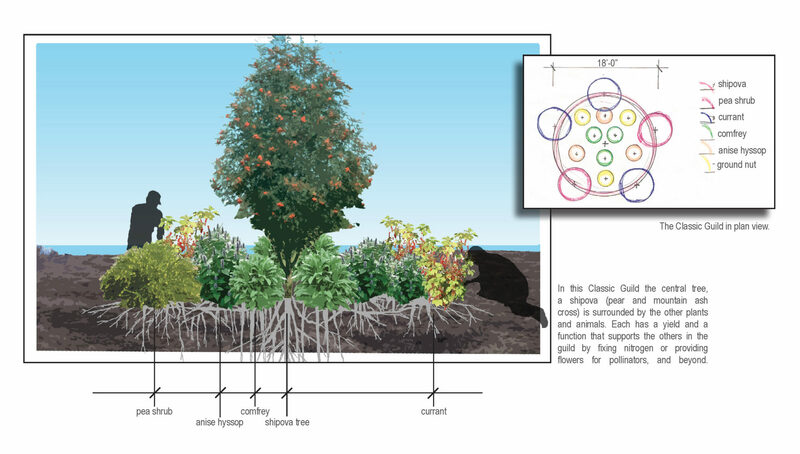 Elements of the design were drawn from paintings from the Clark’s collection, like the pollarded trees painted by Vincent Van Gogh. 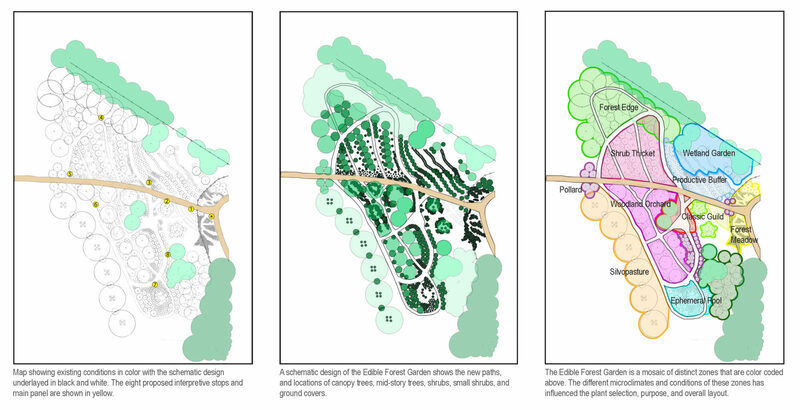 The patterns of the plants and paths are designed for production and invite exploration, but are organized to mimic a natural woodland community. 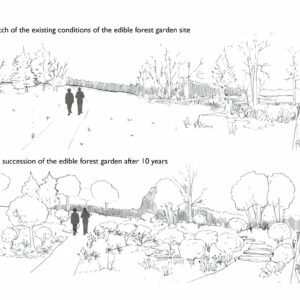 This blurring of boundaries between nature and agriculture, wilderness and development, aesthetics and utility, embody an agriculture of an earlier time – one that is grounded in place, responds to the land, and is alive with its natural communities.